This year, the haunted house experience is getting a makeover with the popularity of interactive horror plays like Delusion: The Blood Rite here in L.A. As we Halloween lovers stretch our creative wings, the Halloween experience becomes more unique, and these kinds of plays seem to be a new type of activity that will soon become popular among lovers of horror and hauntings. “A lot of important women in Poe’s life died of consumption: his mother, the woman who took him in, and his wife. He went to live with an aunt and cousin, and he married the cousin, Virginia, when she was 13. He had a love story with Virginia until she died at a young age. We walked to different rooms for different scenes. 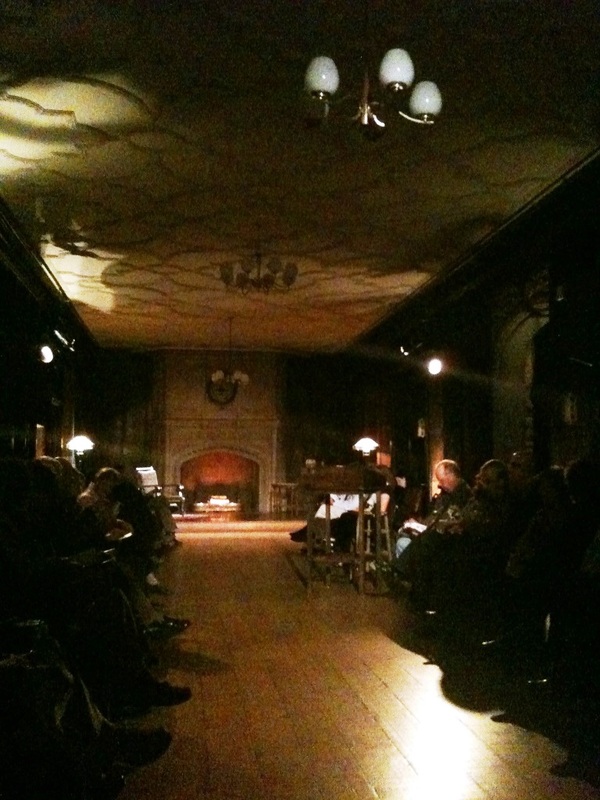 We were divided into two groups of about 35, so it was an intimate setting, close to the actors. “Some of the depicted work was: The Bells, Ligeia, Tell-Tale Heart, The Pit and the Pendulum, Masque of the Red Death, The Raven, and Annabelle Lee. The mansion was dark and creepy and the acting very good, especially the actors who were mad. In the Pit and the Pendulum, we were in total darkness and listened to the prisoner talk so we could experience what he did. The actor for the Tell-Tale Heart was very creepy in his madness. “The show focuses on various aspects of who Poe was: his manic states, depressive states, his longing for Virginia, his hatred of consumption, and his love of all things macabre. We all started together in the library and split off into two groups, so there was a lot of walking, sitting, and standing throughout the two hours. The actors really embraced their characters and made their stories believable. If you’re interested in an alternative to the typical haunted house, preferring a creepy atmosphere and Gothic setting to jump scares, then this type of play could be just what you’re looking for this Halloween. I’d love to attend one of these sometime, as they seem to be a new innovation in the mix of interactivity, acting, and a Halloween setting. Of course, a nice free way to travel through spooky scenes can be done from the comfort of your own computer. Check out what else is going on in the Coffin Hop, and don’t forget to enter my contest to win a signed copy of my book, and more! I am so jealous of anyone who happens to attend. I went and it was a phenomenal show!